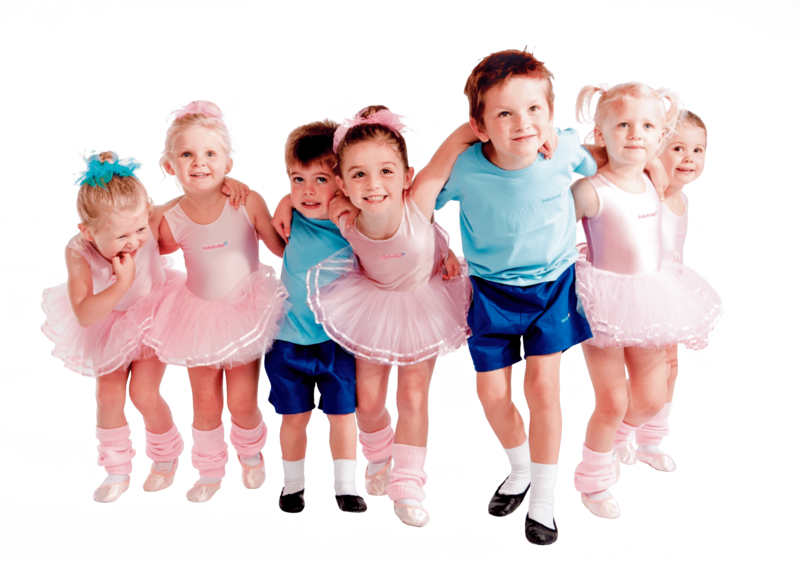 babyballet Australia’s dance teacher Miss Heather has fond memories of babyballet co-founder Barbara Peters. Heather Evans, danced her way ‘down under’ to open Pittwater Dance Academy in Newport, Australia in 1997; but it was her fond memories of dancing on English soil that have proved how small and connected the world of dance really is. 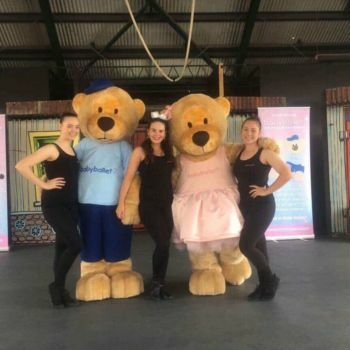 Known to the children as Miss Heather, the dance principal became a licensee of babyballet Australia and New Zealand last year, bringing the award-winning babyballet® dance classes to babies, tots and toddlers across the northern beaches of Australia. As a young girl herself, Heather grew up in Doncaster in the north of England and ballet dancing was her favourite pastime. Attending a local dance school, Heather took her grade three Royal Academy of Dance, Classical Ballet Examination in 1978. 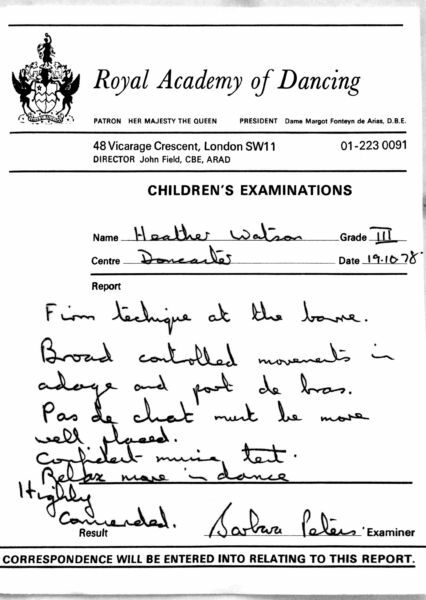 Treasured to this day, the examiner’s report can be seen in the photographs below, detailing Heather’s ‘Firm technique at the barre’ & ‘Broad controlled movements in adage and port de bras’. 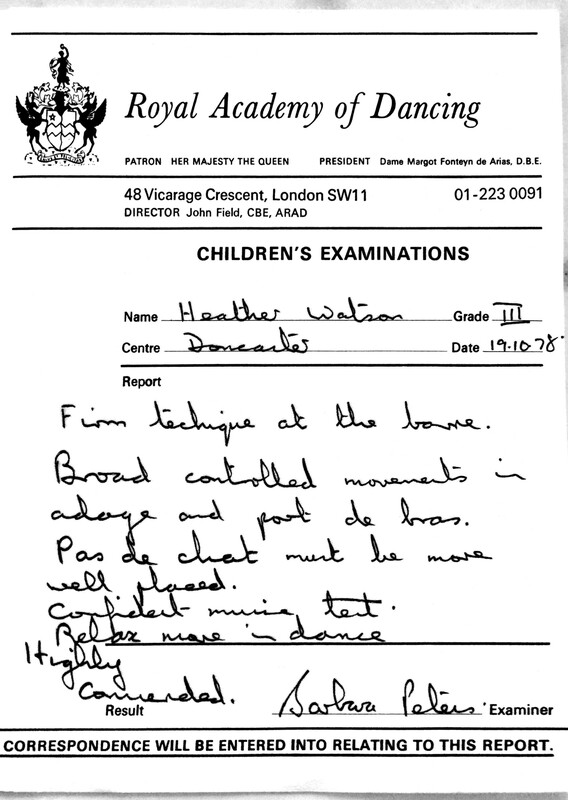 Heather Evans, now a dance teacher and licensee at babyballet Australia – Royal Academy of Dance Report from 1978. 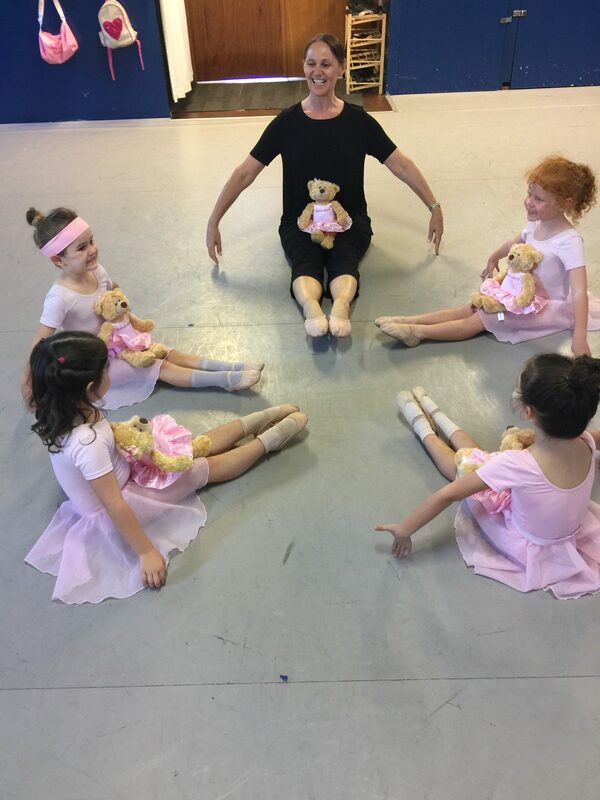 Fast forward to 2018, it wasn’t until Heather saw babyballet® co-founder and ‘Britain’s Oldest Ballerina’ on the news that she put two and two together … Barbara Peters had in fact examined that grade three exam all those years ago. Barbara Peters extensive dance career pans out over 70 years and at 25 she was the youngest ever person at that time to qualify as an examiner for the Royal Academy. 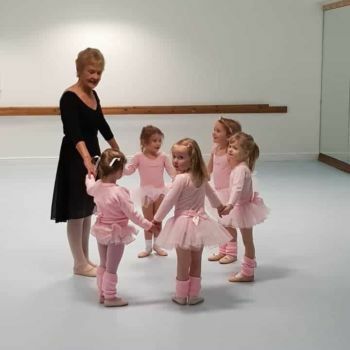 In 1965 she founded the Barbara Peters School of Dance and 40 years later, in 2005, Barbara and her daughter Claire, launched babyballet® which has grown to become the provider of pre-school dance classes to 25,000 children both in the UK and internationally. Heather’s love of dance flourished and in 1989 Heather graduated from the London College of Dance with a Diploma in dance teaching. The full time three year course focused on developing a teacher who has the ability to perform and also the understanding of how to encourage this ability in others. Since graduating Heather has enjoyed many successful years teaching both in the UK and Australia, choreographing performances and entering students for examinations in classical ballet, jazz and tap. 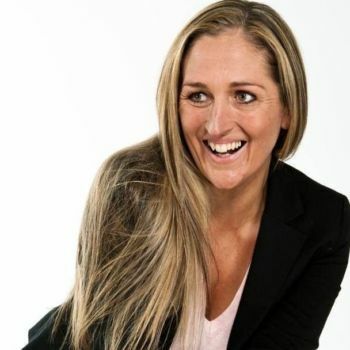 Heather is a registered syllabus teacher with the Federal Association of Teachers of Dancing (FATD) and the Royal Academy of Dance (RAD) gaining Distinction level passes in practical, theoretical and teaching examinations. 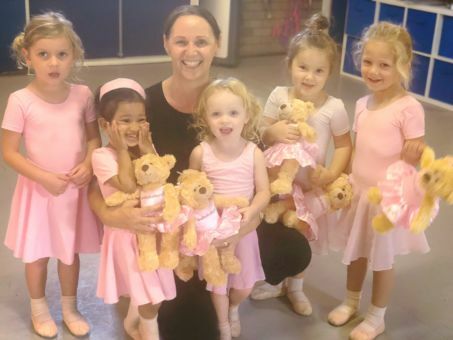 Heather has continued to further her dance qualifications during the years she has been teaching and gained valuable knowledge of child education whilst working at Beacon Hill Community Kindergarten for three years. Heather has a passion and very special talent for teaching the very young. Heather enjoys working with her students and preparing them for their own examinations, where there has always been a 100% pass rate. Former students of Pittwater Dance Academy have continued their training at the Royal Ballet School and full time dance colleges in Australia. 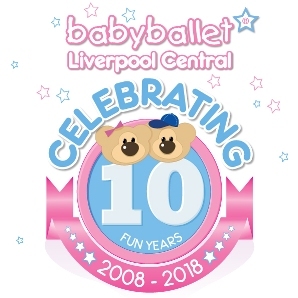 Celebrating 10 years of babyballet Liverpool!